We’re often asked, “what is the best way to heat a garage?" How can I best heat my workshop?" “How do I size a heater for my space?" 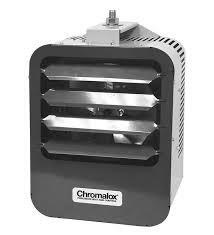 There are many variables involved in selecting just the right heater or heaters to meet your specific criteria. And the good news, there are many heater options to choose from including vent free, radiant tube-type, gas forced air and electric forced air. - How big is the space to be heated (square footage and ceiling height)? - What is the type of construction? Steel, Wood, Brick? - How well is the space insulated? Insulated walls, ceiling, overhead doors, etc.? - What is the climate in your area? Northern climate? Southern climate? - What fuel do you have available? Natural or LP gas? Electricity only? Once these questions are answered, it’s just a matter of doing a quick heat loss calculation to come up with the BTU heat load requirement needed to do the job effectively. So how do I conduct a heat-loss calculation? Simple. You don’t. A qualified heating professional – usually a qualified heating equipment distributor – can to do that for you. Once you’ve determined the actual heat load requirement for your given space, the next step is to search out the various heater types and heater methods available in the marketplace. Are you looking for a portable heater or a fixed heater? Forced air or radiant (infrared)? Vented or vent-free? Don’t know for sure? Then get on the internet and begin searching. Type into your browser key words and phrases specific to what you want. 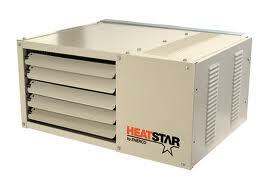 For example, "Vent free garage infrared heater", or "forced air unit heater". If you know the brand and/or model of the appliance, you can key in those as well. 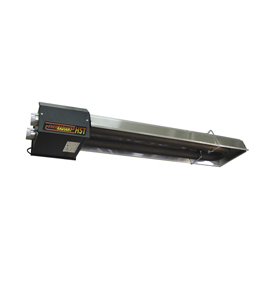 This site offers an array of options under Garage & Shop Heaters. Next, and this is especially important, search among companies that specialize in the type of heater or heating products that you feel would be best suited to your application. A little research can pay off big. After-all, not all companies are alike. There can be substantial differences between brands, heater quality, warranties, return policies, etc. Once you’ve narrowed down your search, do a few phone interviews. Find out more about the company you in tend to buy from. Of course you want a good heater. But buying from a reputable supplier is paramount. Find a company with the strength, reputation and staying power to offer you whatever support you may need in the short term and years down the road. Nothing is more frustrating than purchasing a product online, then finding out the company has suddenly disappeared with no way for you to get future customer support.